Cobian Backup is a feature-rich backup and recovery program that backs up your important data. One thing that makes this software different from other backup programs created for the same purpose is the fact that it uses scheduled tasks in order to create data backups. With an increasing need for data security, a lot of applications have been developed for this purpose, though with a high price tag. Cobian Backup comes as a free program that offers an easy way of creating data backups. 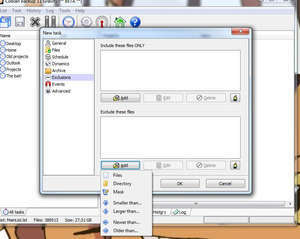 Version 11.2.0.582 is a freeware program which does not have restrictions and it's free so it doesn't cost anything. For security reasons, you should also check out the Cobian Backup download at LO4D.com which includes virus and malware tests. Additional screenshots of this application download may be available, too. Cobian Backup download been highly rated by our users.